LRP LiPo for Newcomers! With the new LiPo line everybody can profit from the extraordinary battery technology from the LRP factory. The 2nd generation of the revolutionary XTEC X12 technology! Instead of a 4 time winding, the new motors from LRP feature an 8 time (=Octa) winding. The effect is a different power characteristic, resulting in much higher performance. In detail, our R/D team has increased the number of copper wires used in the motor, resulting in lower resistance. Thanks to low heat development of the octa wind, less energy is lost – resulting in higher efficiency. 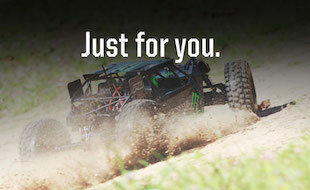 For a R/C driver that means – more power to the drivetrain. The VECTOR X12 features a totally new design structure, including the fully adjustable and replaceable PreciSensorTM system, a completely new precision sensor positioning system for power, torque, throttle response and efficiency never seen before. The motor is unlike any other brushless motor! Constructed of 2 main parts and using only 4 screws, resulting in a motor which is easier to work on and the possibility to access and replace the rotor with the motor still left in the car. In addition to this it features an all new sintered 12.5mm size magnet graded on a new strengthened shaft, to further optimise the motors performance, efficiency and mid-range torque. This new X12 has been perfected in every small detail which makes this new brushless motor setting the new benchmark in brushless performance! Dismountable – Machined 7075-T6 aluminuim can, short/light-weight design and maximum airflow. Easysolder Design – Heavy copper, multilayer PCB for lowest resistance.